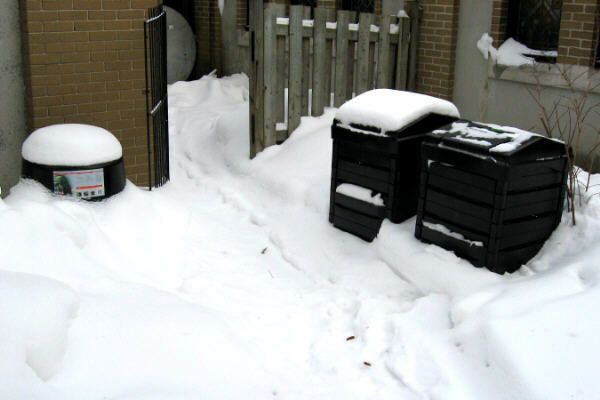 As part of Summerlea's environmental initiative, composting of compostable materials and recycling of used batteries and ink cartridges have been set up, as shown in the photos below, which can be picked to see a larger version. 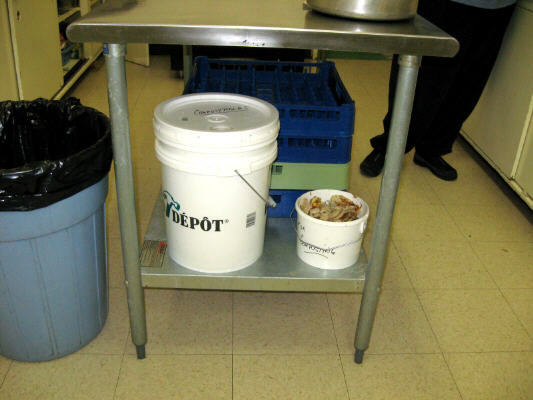 In the kitchen, buckets store compostable materials until they are emptied into the outdoor composters, usually by Summerlea's custodian, George Provias. 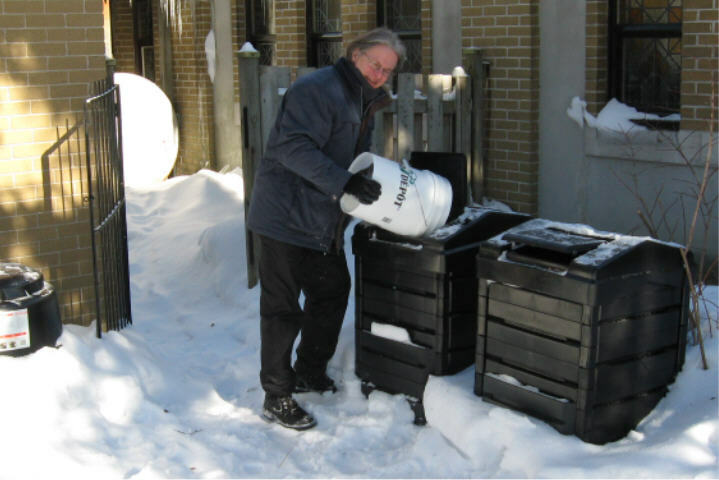 Much of the compostable material comes from Meals on Wheels, which cooks meals for about thirty people twice a week, but members of the congregation and the community are welcome to use the composters as well. 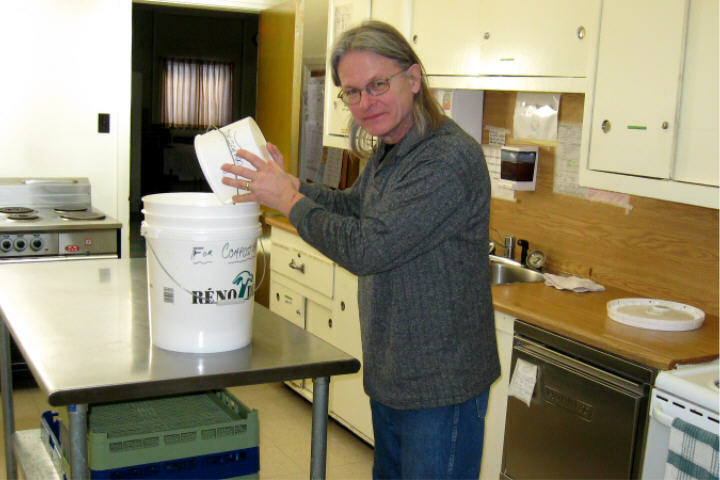 John Osborne of the Summerlea Green Church committee set up the composting. He is also investigating worm composting. 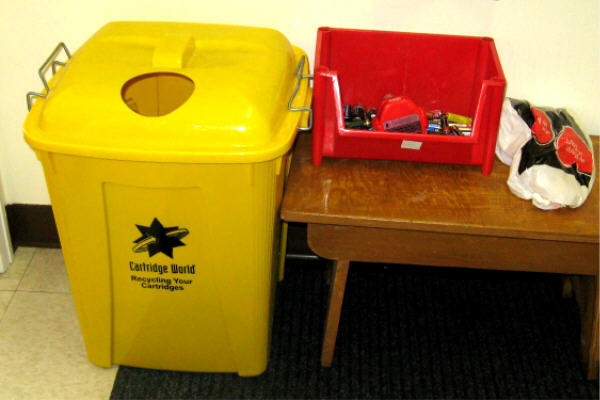 and ink cartridges, until they are taken to an Eco-Centre for recycling. In the first four months, nearly 100 pounds of batteries were recycled.